Marciene Mattleman in her home in Washington Square in 2008. The tireless education advocate died Friday at age 89. 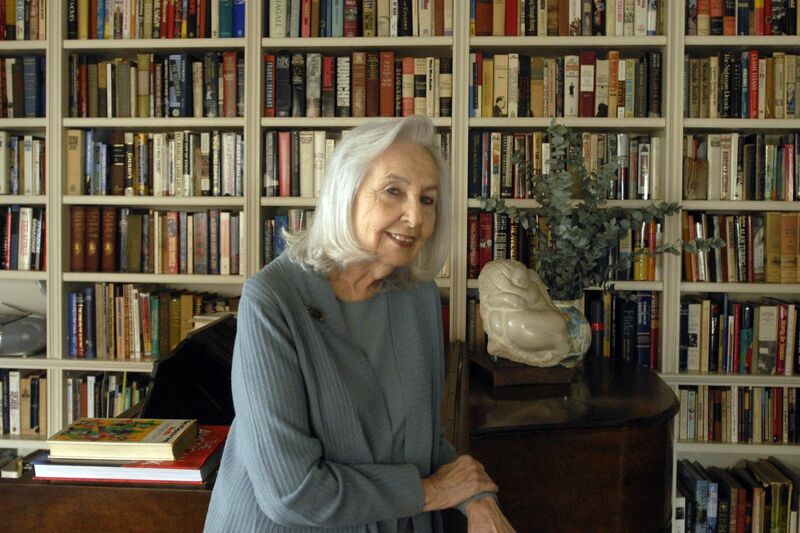 Marciene Mattleman, 89. a feisty advocate for Philadelphia’s children who created a legacy of programs to promote literacy and after-school activities, died Friday, March 29, after a four-year battle with Parkinson’s disease. “No one in this city has done more for the schoolchildren of Philadelphia and our region than Marciene Mattleman,” former Gov. Ed Rendell said in 2015 when she retired as board chair of After School Activities Partnerships (ASAP), one of the organizations she created. Mrs. Mattleman began her career as a sixth-grade teacher in Philadelphia, then earned a Ph.D. in education, writing her dissertation at night when her three children were sleeping. She worked as an education professor at Temple University. When she was in her 50s, her career went in a new direction when she launched the Mayor’s Commission for Literacy under Mayor W. Wilson Goode. Later she founded organizations called Youth Education for Tomorrow, Philadelphia Reads, Philadelphia Futures, and finally ASAP, a nonprofit aimed at facilitating after-school programs that help keep kids safe. Marciene Mattleman greets former Pennsylvania Gov. Ed Rendell in Philadelphia City Hall in May 2015. Then-President Bill Clinton praised Philadelphia Futures, a college-oriented mentoring program, which has been replicated in other cities. After each organization achieved success, Mrs. Mattleman handed it over to others and turned her attention to another cause. Marciene (pronounced mar-SEEN) Mattleman was famously persistent, and in more than three decades, she built a network of contacts that was so extensive there is almost no one in city government or business she could not call to ask for a favor. Marciene Mattleman and her husband, Herman, share a glass of wine in their home near Washington Square in 2008. She grew up on Woodcrest Avenue in Wynnefield, where her father, a businessman, served as president of his synagogue. She was 16 years old when she met Herman Mattleman, four years her senior, who later became the Philadelphia school board president. They were married for more than 68 years. Their three children all followed their parents into public service. She was a tireless fund-raiser and recruited thousands of volunteers to lead chess clubs and debate teams and teach hip-hop and yoga in after-school programs. The programs she created touched the lives of tens of thousands of students. She was the education reporter on KYW Newsradio, and often appeared in the media discussing education issues. She served on numerous boards, including the Free Library of Philadelphia Foundation, the American Red Cross of Southeastern PA, Philadelphia Futures, City Year, the Public Interest Law Center of Philadelphia, the Jewish Community Relations Council, and the Audrey Miller Poritzky Fund for Education. She was elected a Distinguished Daughter of Pennsylvania and had served as a member of the Pennsylvania Commission for Women before her death. Mrs. Mattelman's After School Activities Partnerships (ASAP) programs helped schools start such programs as a chess club. In 2008, she received the Philadelphia Award, the city’s highest civic honor, in recognition of her contributions to Philadelphia’s underprivileged youth (her husband also won the award, in 1991). In addition to her husband and daughters, she is survived by a son, Jon; six grandchildren; and four great-grandchildren. Shiva will be observed at the family residence on Sunday, Monday, and Tuesday at 7 p.m. Burial will be private. A memorial service will be at a later date. Donations can be made to the Marciene Mattleman Founder’s Fund at After School Activities Partnerships at 1520 Locust St., Suite 1140, Philadelphia 19102, or to a charity of the donor’s choice.